Please click on the Quarterly Report link to see the November-December report. Please call the attendance line to excuse your student's absence. (480) 883-4603 This line is available 24 hrs a day! Thank you to all who donated in February! SJHS will be hosting their spring blood drive on Tuesday, May 14, 2019. The United Blood Services bus will be in Santan's bus parking lot from Noon to 5 PM. Please click here to connect to the blood drive schedule. Thank you for your donation! If you are curious about our AzMerit testing, please click on this link to access our AzMerit FAQ page. SRP showcases Mrs. Olson's Project Lead the Way classes! SRP's Support for Education team visited Santan to see how Mrs. Olson's Project Lead the Way classes work. Click here to view the video. Click here to visit the SRP Support for Education website to learn more about their grants and see SJHS showcased with other schools. After a minimum of 20 hours volunteered by Intel employees at our school, Intel will match with a $10 per hour grant to our school. Click here for the Matching Grant Flyer with more information. 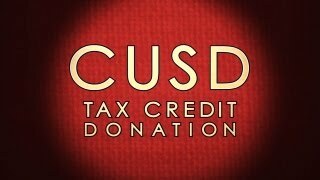 This year ALL extracurricular activity fees paid will be considered a tax credit contribution that you will be able to utilize on your taxes. Here is a Quick Guide for how to make a payment on Infinite Campus. Please continue to check the Santan Junior High website and register for Schoolwires for important updates. You can also "like" us on Facebook (Santan Junior High School), or follow us on Twitter @SantanStorm. CUSD will be going paperless this year! Progress reports and report cards can be printed from the portal. Each parent is encouraged to activate their account at the start of the school year to ensure that they are well informed of student progress. All school sites have a parent portal manager should you require set-up assistance or have further questions. Portal accounts will allow parents to check their child's academic progress at any time during the school year. Please visit this link to set up your parent portal account. If you don't have a Parent Portal acount on Infinite Campus, click here for instructions about how to create a Parent Portal Account.